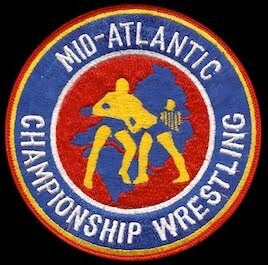 Many fans started their wrestling month of March 1980 in front of their TV sets on Saturday March 1st, watching Mid-Atlantic Championship Wrestling hosted by Bob Caudle. This show was action packed from beginning to end. It started with Gene Anderson telling the viewing audience that the debut of the Iron Sheik would be delayed for about three weeks, as Gene was sending the Sheik to Japan to become more proficient in the martial arts. This Mid-Atlantic show that aired in many markets on March 1st had two terrific matches in the NWA Television Title tournament. In the first, popular veteran Johnny Weaver battled “Number One” Paul Jones. In an entertaining bout, Jones was caught striking Weaver in the throat with a karate thrust, leading to a disqualification and sending Weaver on to the next round. The second Tournament bout was a wild encounter between Blackjack Mulligan and big Ox Baker. To complicate matters for Blackjack, Superstars #1 and #2 were sitting at ringside cheering Baker on. Prior to the bout, Ox was promised $2,500 by the Superstars if he could put Mulligan out of wrestling during the Tournament match. Using his famed “heart punch,” Baker had Mulligan beat but at the urging of the Superstars let the big Texan up! Mulligan quickly turned the tables on Ox, and pulled out an improbable win! 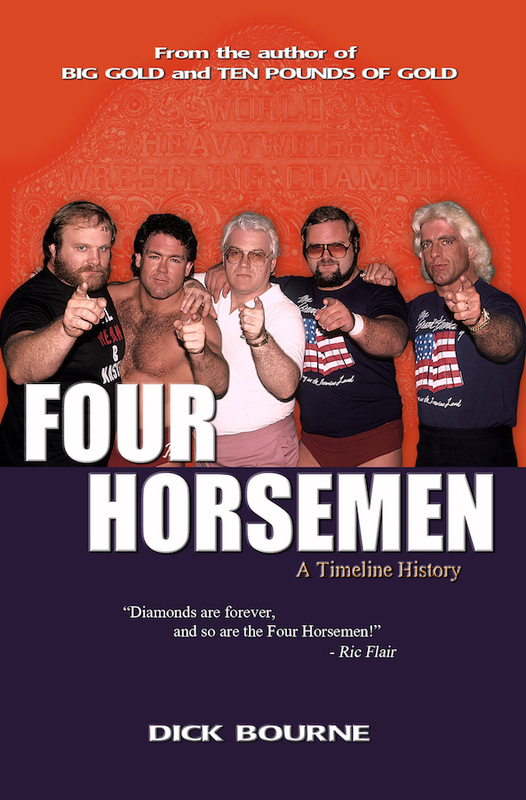 The final segment of the March 1st Mid-Atlantic Championship Wrestling TV show had Ray Stevens and Greg Valentine out at ringside watching NWA World Tag Team Champions Ricky Steamboat and Jay Youngblood wrestle Doug Somers and Frankie Lane. After the bout, Stevens and Valentine interrupted the Champions’ interview, with Valentine calling them “punks” among other unflattering things. This led to physical retaliation by Steamboat and Youngblood, with the champs getting the better of the altercation. Steven and Valentine were furious, saying they were “sucker punched,” and that they couldn’t fire back because they were hamstrung by being on probation by the NWA. On the sister World Wide Wrestling television show that aired in most of the area’s markets on March 1st, the viewing audience got to see a fantastic match pitting Blackjack Mulligan and Johnny Weaver against the duo of big Swede Hanson and Doug Somers. The unlikely pairing of Mulligan and Weaver was surprisingly smooth and strong, enabling the “good guys” to escape with a hard fought victory. At the end of the show, the Masked Superstars #1 and #2 chastised Blackjack about Mulligan having nobody of consequence to team up with, and laughing that “Mully” should team with some of Blackjack’s crazy family! Mulligan was none too happy with this line of inquiry, and told the Superstars in no uncertain terms to keep his family out of their discussions! This first World Wide Wrestling show of the month of March also featured a bout in the Mid-Atlantic Tag Team Title Tournament, featuring the Masked Superstars #1 and #2 defeating popular Matt Borne and Bob Marcus. This was the third match of the first round, and assured the Superstars a spot in the Tournament semifinals. The Superstars would go on to capture the vacant Titles on the World Wide Wrestling show that was likely taped on March 19th. 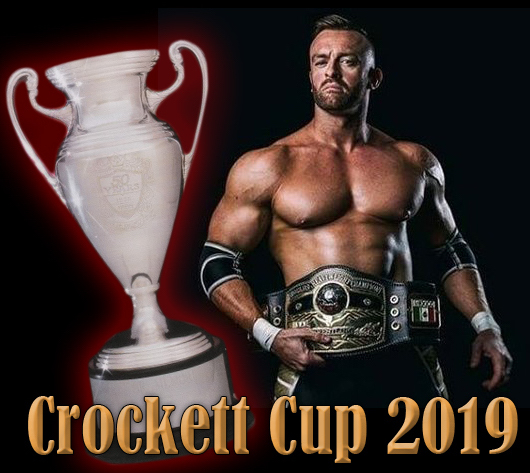 The Mid-Atlantic Championship Wrestling television show that was taped from the WRAL TV studios in Raleigh, North Carolina on March 5th showcased plenty of action. Foremost, the two semifinal matches in the NWA Television Tournament took place on this show. In the first contest, Superstar #1 was triumphant over a bruised and battered Johnny Weaver. In the second semifinal, Blackjack Mulligan endured a physical beating, but still managed to prevail over a game Swede Hanson. So a “dream match” was set for the NWA TV Title Tournament final, where old rivals the Superstar #1 and Blackjack Mulligan would vie for the prestigious Championship, with Superstar #2 (now called “007”) in the bad guy’s corner! 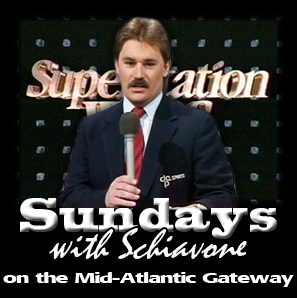 On that same action packed March 5th Mid-Atlantic Championship Wrestling TV show, the rugged duo of Ray Stevens and Greg Valentine came out and complained to announcer Bob Caudle that they were “sucker punched” during the interview the previous week on TV by NWA World Tag Team Champions Ricky Steamboat at Jay Youngblood. Caudle countered that the two villains had provoked Steamboat and Youngblood, but the bad guys denied that out of hand. 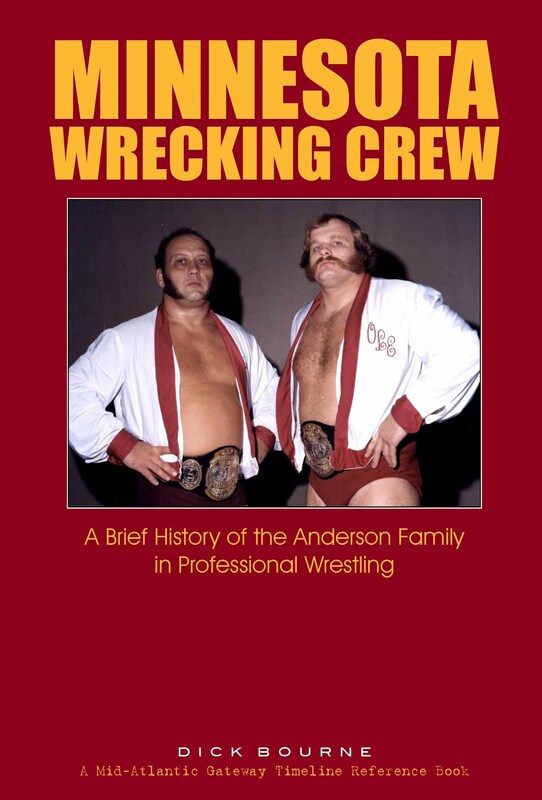 Stevens and Valentine again said that if they hadn’t been on probation through the NWA, they would have wiped the floor with “Steamer” and Jay! Another exciting sequence in the March 5th Mid-Atlantic TV show saw “Nature Boy” Ric Flair come out to assist his young protégé, Scott McGee. “Superfly” Jimmy Snuka was wrestling McGee, and taking liberties with the young grappler. Flair didn’t like Snuka’s actions, and went after Jimmy and his manager Gene Anderson with Anderson’s cane, cleaning house in the process. Ric also had a match of his own during the hour, teaming with former rival Rufus R. Jones to dominate and defeat the tandem of Billy Starr and the Scorpion. March for all intents and purposes ended the bitter breakup and brief ensuing feud between Paul Jones and Baron von Raschke. The two former partners went at it on March 1st in a bloody battle in the Charlotte Coliseum, where both exited the ring in rough shape to say the least. Jones and Raschke followed up that mayhem the next night at the Greensboro Coliseum, in a Lights Out Non-Sanctioned blood bath! Apparently the two could not get enough violence, as they set a return match in Greensboro in two weeks inside a fence. The March 16th Fence Match may have been the most vicious contest between these combatants, with Jones somehow emerging victorious at the 17:00 mark. 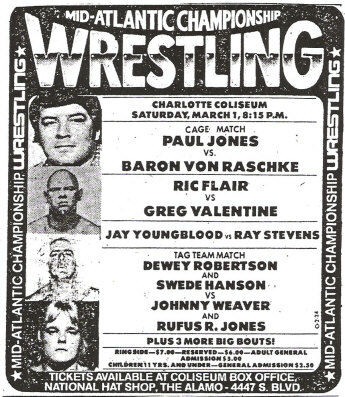 After this bout, both Jones and Raschke exited the Mid-Atlantic area, except in a curious bit of scheduling, they met one final time in Hampton, Virginia on April 12th with the Baron prevailing. 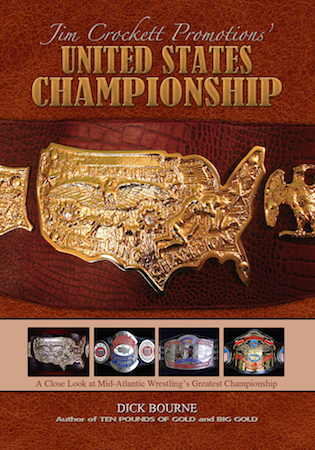 Mid-Atlantic Heavyweight Champion Jim Brunzell successfully retained his belt during the month, despite some stiff challenges by several worthy challengers. “Jumpin’ Jim” fended off the unorthodox Ox Baker in Asheville, North Carolina on March 2nd, and then again on March 10th in Greenville, South Carolina. Brunzell took care of Paul Jones at the Norfolk Scope on March 6th, and survived two hard hitting Title encounters with the “Hammer” Greg Valentine on March 3rd in Fayetteville, North Carolina and on March 7th in Winston-Salem, North Carolina. Finally, Jim managed to keep his prized Mid-Atlantic belt despite the challenges of both Masked Superstars. On March 14th, Brunzell survived the onslaught of Superstar #1, and followed that with a clean victory against the massive Superstar #2 on March 23rd in Columbia, South Carolina. Jimmy “Superfly” Snuka maintained his grip on the United States Heavyweight Championship during the month of March, but Ric Flair was hot on his heels. 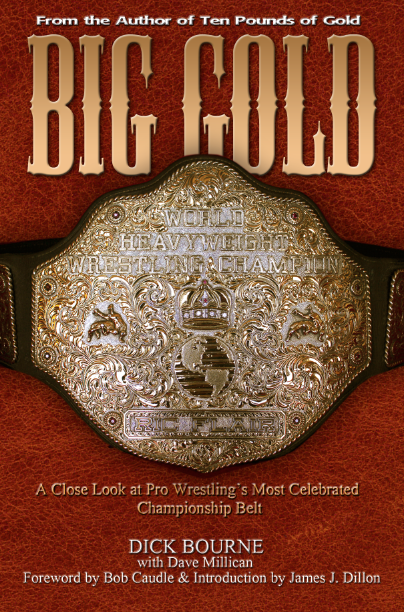 Ric came close to taking the Title several times, dominating bouts against Snuka in Norfolk Virginia on March 6th, Greenville, South Carolina on March 10th (winning by count out), Salem, Virginia on March 23rd and in Spartanburg, South Carolina on March 29th (winning by disqualification). During the month of March, three area towns got two U.S. Title matches each with Snuka defending his prestigious belt. Greensboro, North Carolina saw Flair dominate Snuka for the most part on March 2nd, but in two weeks Snuka pinned Flair in the rematch, albeit with assistance from manager Gene Anderson. Raleigh, North Carolina had back to back Title bouts between these two, starting on March 11th. Snuka was victorious in the first, but Flair controlled the rematch on March 18th for much of the contest. 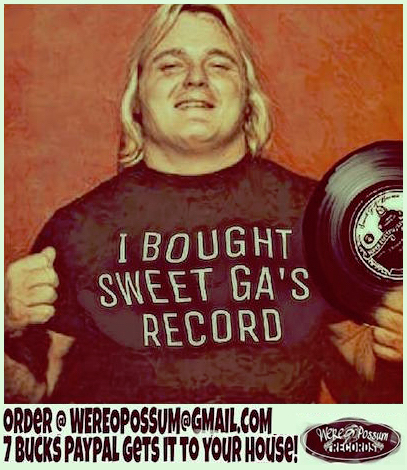 Finally, Charleston, South Carolina saw the “Superfly” squeak out a win over the “Nature Boy” on March 14th, then two weeks later saw Jimmy defeat South Carolina’s own Rufus R. Jones in a spirited Title battle! The Mid-Atlantic Championship Wrestling television show that was taped on March 12th had the viewing area buzzing with anticipation, as Blackjack Mulligan was to square off against Superstar #1 in the finals of the NWA Television Title Tournament! However, the opening segment of the show raised a lot of concern amongst Mulligan fans. A film clip of an arena match was shown, with Blackjack narrating over it, showing Superstar’s #1 and #2 brutally injuring Mulligan’s hand with a chair. Mulligan had a cast on his hand, and said he couldn’t make a fist with the hand and didn’t know if he would ever be able to use the “claw hold” again. But he promised the TV viewing audience that he would not quit, and that he would wrestle for the TV Title despite being injured. The championship match started out with Mulligan in control, using the cast on his broken hand as a weapon. However, Superstar #1 was able to rip the cast off , and began punishing Mulligan’s injured hand. In tremendous pain and infuriated by the tactics of Superstar #1, Blackjack snapped and threw Superstar #1 over the top rope, resulting in a disqualification giving the championship trophy and belt to the hated masked man. As if winning the TV Title wasn’t enough, both Superstars attacked Mulligan after the bout, trying to do further damage to his hand. Luckily for Blackjack, Ric Flair intervened for him and was able to limit the damage. 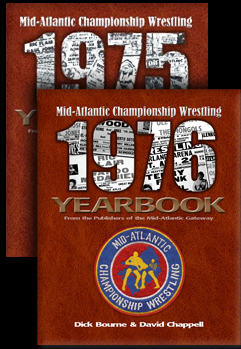 Highlights galore were shown on the Mid-Atlantic Championship Wrestling television show that was taped on March 19th. First, the TV Title match from the previous week was replayed, so the fans once again got to see Blackjack Mulligan throw Superstar #1 over the top rope and throw away his chance for the NWA Television Title in the process. The second film that was shown was the match where the Superstars’ had injured Blackjack Mulligan’s hand. The Superstar #1 narrated over this piece of film, and said very confidently over and over again that Mulligan was finished and that Blackjack could never used the claw hold again. 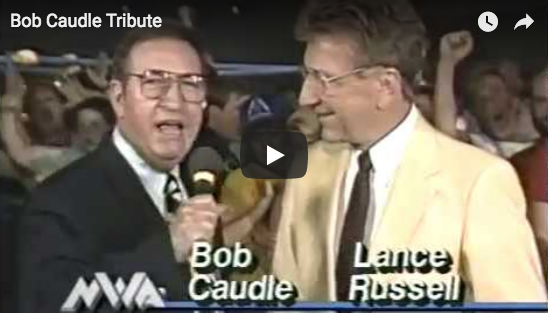 After the film was finished, Bob Caudle read a letter from Blackjack Mulligan addressing his injury situation. Mulligan said the broken hand would not deter him from pursuing the Superstars until he unmasked both of them! This got a rise out of Superstar #2, who rarely uttered a word. One thing was clear from the incoherent ramblings of Superstar #2…his voice sounded just like that of John Studd! Gene Anderson ended the March 19th show by saying again that the Iron Sheik from Iran would soon be entering the Mid-Atlantic area. Gene also intimated that he would be teaming the Sheik up with United States Heavyweight Champion Jimmy Snuka, in what promised to be a dynamic team. 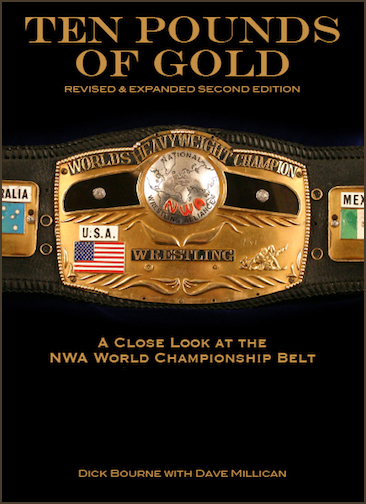 NWA World Tag Team Champions Ricky Steamboat and Jay Youngblood had a busy month of March defending their prized belts. Other than a defense against Superstar #1 and #2 on March 11th in Columbia, South Carolina, all of the Title bouts of “Steamer” and Jay were against their nemeses’ Greg Valentine and the “Crippler” Ray Stevens. The battles between Steamboat and Youngblood and Stevens and Valentine started early in the month, March 2nd with a “double shot” to be exact. Asheville, North Carolina and the border city of Savannah, Georgia each got a raucous Title match on March 2nd! Columbia, South Carolina was next on March 4th with a wild championship bout that saw Stevens and Valentine lose by disqualification. Next, the two teams headed up to Virginia where they treated the fans in the Old Dominion to two great championship clashes. At the Norfolk Scope on March 6th no holds were seemingly barred, and further north at the Richmond Coliseum on March 14th the two teams reached new heights of brutality. The final two successful Title defenses by Steamboat and Youngblood against Stevens and Valentine took place in Greenville, South Carolina on March 17th and in the port city of Charleston, South Carolina on March 21st. In both of these encounters, Ricky and Jay scored clean pinfall wins. However, Greg and Ray would get their revenge in the next Title match, in Charlotte, North Carolina on March 29th. Toronto, Canada had two gigantic shows during the month of March, with a number of featured Mid-Atlantic performers. On March 9th, the Maple Leaf Gardens saw a spirited Canadian Heavyweight Title contest between the Champion Dewey Robertson and the challenger Greg Valentine. As part of that same March 9th super spectacular event, the popular Indian Jay Youngblood butted heads with the ever dangerous Ray “The Crippler” Stevens. In three weeks, the wrestlers returned to the Maple Leaf Gardens, with the Mid-Atlantic featured matches being a high octane battle between Ricky Steambood and Jay Youngblood versus Ray Stevens and Greg Valentine. The fans also saw the deranged Ox Baker whip up on Scott McGee, and an entertaining win by Klondike Bill over Brute Bernard via disqualification. 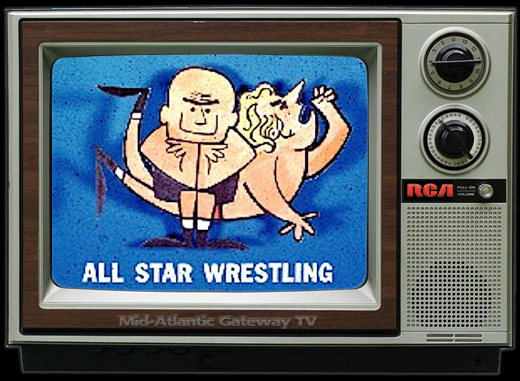 The final Mid-Atlantic Championship Wrestling television show of the month, taped on March 26th, had a couple of noteworthy interviews that would shed some light on future issues. First, Ric Flair thanked the fans for their support in his ongoing battles with U.S. Champion Jimmy Snuka. Ric acknowledged that the responsibilities of being a “fan favorite” were something he was still getting used to. The “Nature Boy” told Bob Caudle and the viewing audience that if he didn’t win the U.S. belt soon that he was going to pack his bags and leave, but hastened to add that he had no plans whatsoever to leave the area! The final interview segment on the March 26th Mid-Atlantic TV show saw Ray Stevens and Greg Valentine celebrating the fact that they were no longer on probation by the NWA. This devious duo told Bob Caudle and the fans at home that they didn’t have to hold back in any way now, and that capturing the World Tag Team Title belts from Ricky Steamboat and Jay Youngblood was inevitable. Those words turned out to be prophetic very shortly. On Saturday night Match 29th in the Charlotte Coliseum, Ray Stevens and Greg Valentine finally made their many boasts come true, as they defeated Ricky Steamboat and Jay Youngblood for the NWA World Tag Team Titles. The Title match was full of controversy, and this controversy would spill over into the month of April as fans were left to wonder whether the new champions were the “people’s choice” as they proclaimed, or rather cowardly thief’s in the night instead. Time would tell, with this issue getting the new month of April off to a red-hot start! 1. Superstar #1---The rugged and articulate masked man won the NWA Television Title and one half of the Mid-Atlantic Tag Team Titles during the month of March. These two Tournament wins alone warranted a trip to the top of these rankings. 2. Superstar #2---The massive masked man, who sounded a lot like John Studd, captured one half of the Mid-Atlantic Tag Team Titles during the month, in addition to severely injuring Blackjack Mulligan’s hand during a double team attack with his partner. 3. Jimmy Snuka---The United States Heavyweight Champion continued to hold onto his prized belt during the month of March, despite a persistent challenge from “Nature Boy” Ric Flair. Snuka knew that the upcoming month of April would define his run as the U.S. Champ. 1. Paul Jones and Baron von Raschke---The former partners finished up their superb Mid-Atlantic stints in a somewhat inglorious fashion, battling each other in several bloody matches where the fans just wanted them to finish each other off! How the once mighty had fallen! 2. Blackjack Mulligan---The big Texan was tough as nails, but that didn’t stop the Masked Superstars #1 and #2 from injuring his hand and costing “Mully” the NWA TV Title. Blackjack had his hands full trying to handle the Masked Superstars with only one good hand. 3. Ox Baker---Despite a great resume and quite a buildup by the promotion, the wild man with the feared “heart punch” was having trouble advancing up the ranks beyond mid card status. It was starting to look like Ox might not be able to push through that glass ceiling.